Brushing isn’t just for your Hair? Skin Brushing is a simple technique of removing dead skin cells and stimulating skin cell renewal. Purchase a simple “skin brush” made of natural bristles & wood then brush your skin in long upward strokes towards your heart right before your bath or shower. 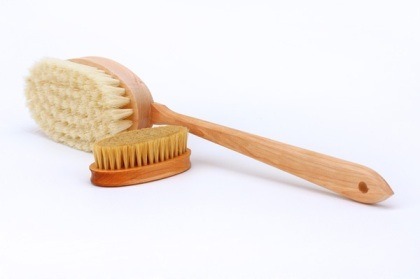 Dr. Oz suggest that skin brushing can also improve your blood circulation.